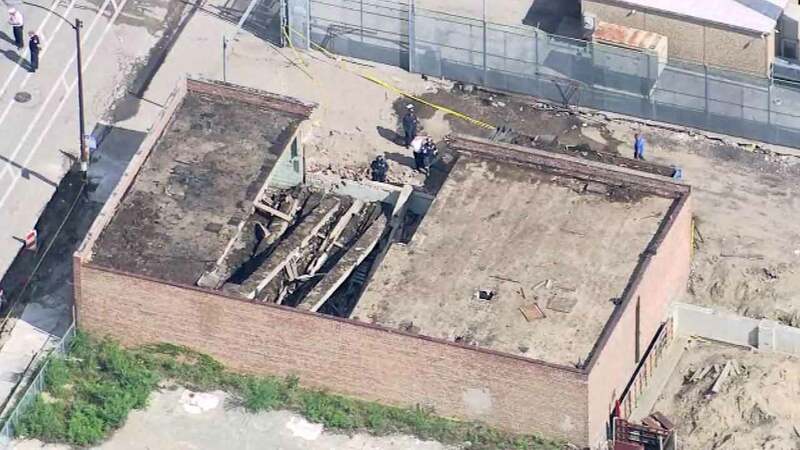 CHICAGO (WLS) -- A south side building collapse that killed a construction worker Thursday happened without the proper work permits, city officials who responded to the construction site said. Workers were removing roofing material from the building in the 500-block of East Pershing in the Bronzeville neighborhood when two concrete beams fell. Daniel Miller, 46, was killed. Officials say the last permit issued was on Sept. 3 for electrical work.